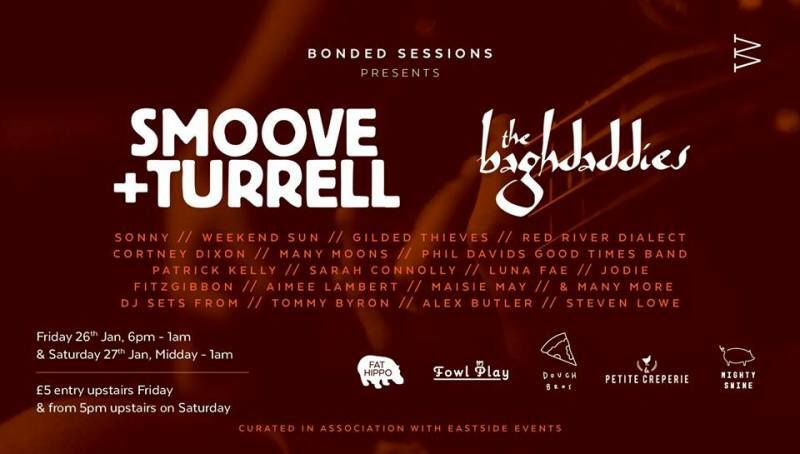 Sunderland is set to welcome a real music extravaganza, with the launch of the Bonded Sessions arriving on Friday 26th January, with a further event on Saturday 27th January. From then on, mark the last weekend of the month for a wide range of artists in the incredible space that is Bonded Warehouse. Sonny and a whole load more. Saturday shows no sign of letting up with top music either, with a stellar lineup including Smoove and Turrell, Weekend Sun, Gilded Thieves Music, Cortney Dixon, Red River Dialect and a few surprises up their sleeves too. There’s a whole load of drink and food options, with 16 taps of craft lagers, beers and ciders selected carefully from some of the UK’s finest independent breweries, including Allendale Brewery, Anarchy Brew Co and Stewart Brewing, there’s something to suit every palette. Not forgetting an original cocktail menu and pop up gin bar. The outdoor courtyard will be home to a wide selection of food vendors, featuring an exciting array of some of the regions finest street food traders both old and new, serving ’til 11pm both days. This month welcomes Fat Hippo, Fowl Play, La Petite Crêperie, Mighty Swine and Dough Bros. If this is a sign of things to come, the Bonded Sessions will be a real monthly highlight. Bonded Sessions are at Bonded Warehouse, Sunderland on Friday 26th and Saturday 27th January.